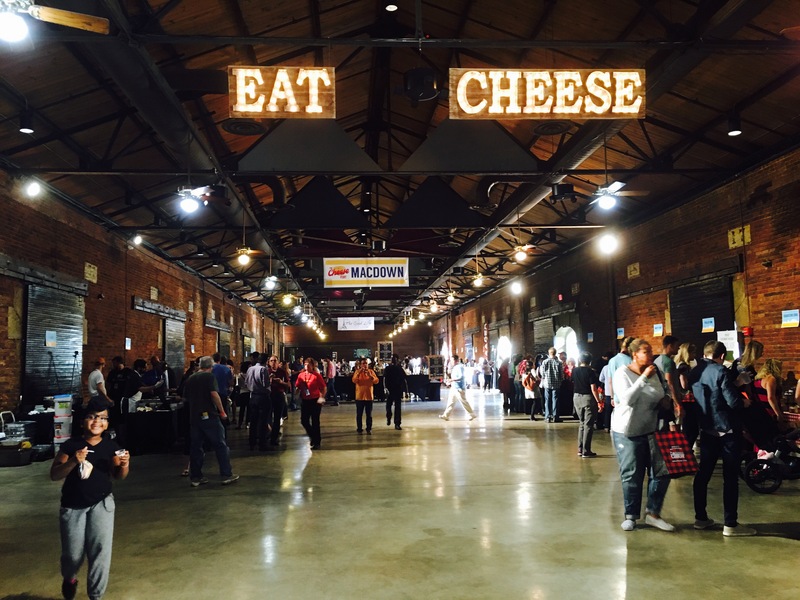 The Cheese Fest 2016 went down yesterday and for the third year in a row I was there. I love cheese!! I also love the organization that it supports, The Giving Kitchen. During this cheesy event, festival goers have the chance to sample some of the best artisan cheeses around the world. There was a lot of cheese!! 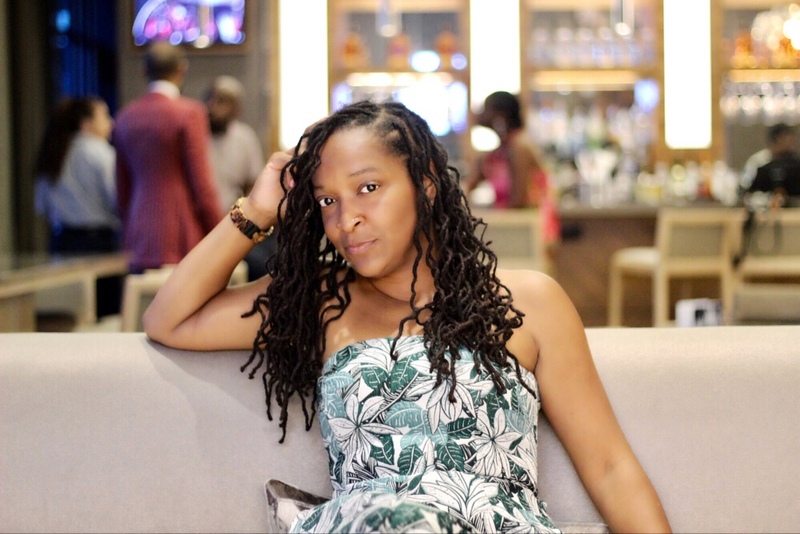 The Giving Kitchen provides emergency assistance grants to Atlanta’s restaurant community facing unanticipated hardship. In addition to cheese samples, there was also two competitions going down. Outside was Grilled Cheese Meltdown. Chefs had the grand opportunity to create the most unique grilled cheese to win the title. The sandwiches were amazing. My personal favorite, and People’s Choice Winner, was Bread & Butterfly Gruyere Grilled Cheese Sandwich. It was classic yet fancy. My WHOA REALLY!! choice, and Judges’ Choice Winner, was High Road Ice Cream’s take on the classic sandwich. 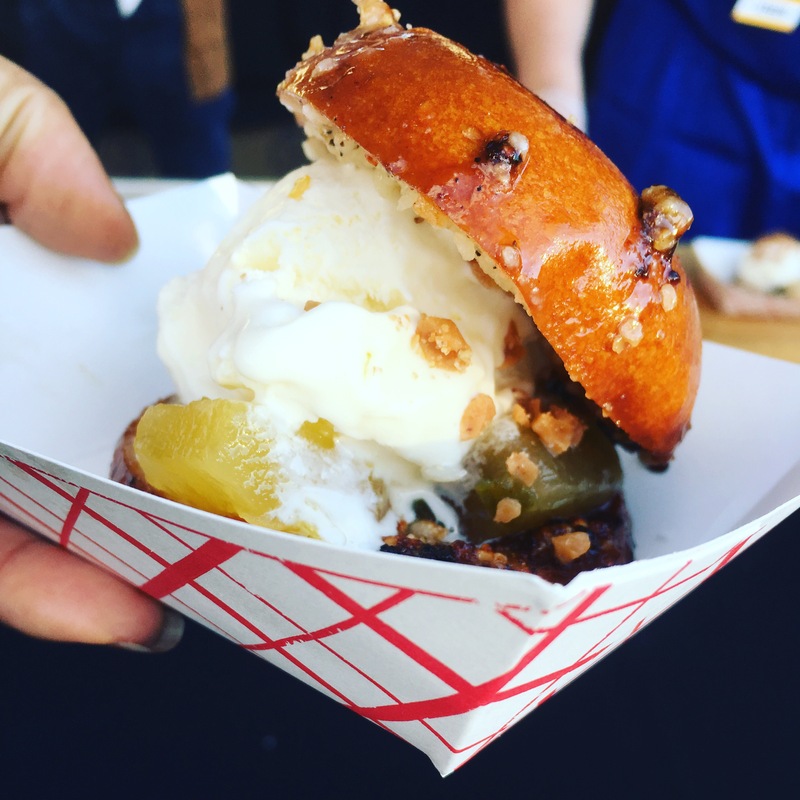 They put cream cheese ice cream and jalapeno pineapple jelly between toasted brioche buns, sugared parmigiano with black pepper. Then they threw some praline pecan crumble on it for some crunch. It was amazing! They also brought two additional flavors of ice cream with the topped with more cheese. Amazing!! Inside, The Macdown was in full swing. This title went Muss & Turner’s for their Welsh Rarebit Mac and Cheese. They snagged the People’s Choice and Judges’ Choice Award. Well done! The Cheese Fest was amazing and so much fun! Be sure to look out for it next year!